The rupiah against the US dollar (US) continues to weaken. Based on Jakarta Interbank Spot Dollar Rate (JISDOR) data released by Bank Indonesia (BI), the rupiah exchange rate on Thursday (3/5) was at the level of Rp 13,965 per US dollar. The weakening of the exchange rate became the deepest level since late 2015. On December 18, 2015, the rupiah also briefly weakened to the level of Rp 14,032 per US dollar. With the rupiah weakening, Indonesia's foreign exchange reserves position in April and May 2018 is expected to continue eroded for rupiah intervention. Bank Permata economist Josua Pardede projected that in the short term the weakening rupiah will erode foreign exchange reserves. Moreover, the weakening of the rupiah that occurred in last April is quite large. 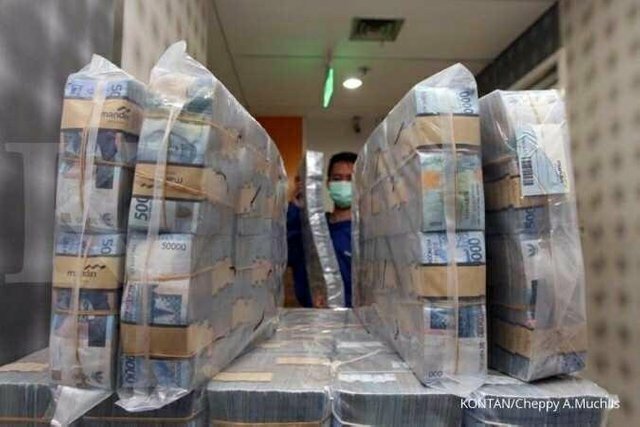 "Intervention conducted by Bank Indonesia (BI) during the month of April is quite large, especially since the rupiah was also close to Rp 14,000 per US dollar," said Josua to KONTAN on Thursday (3/5).